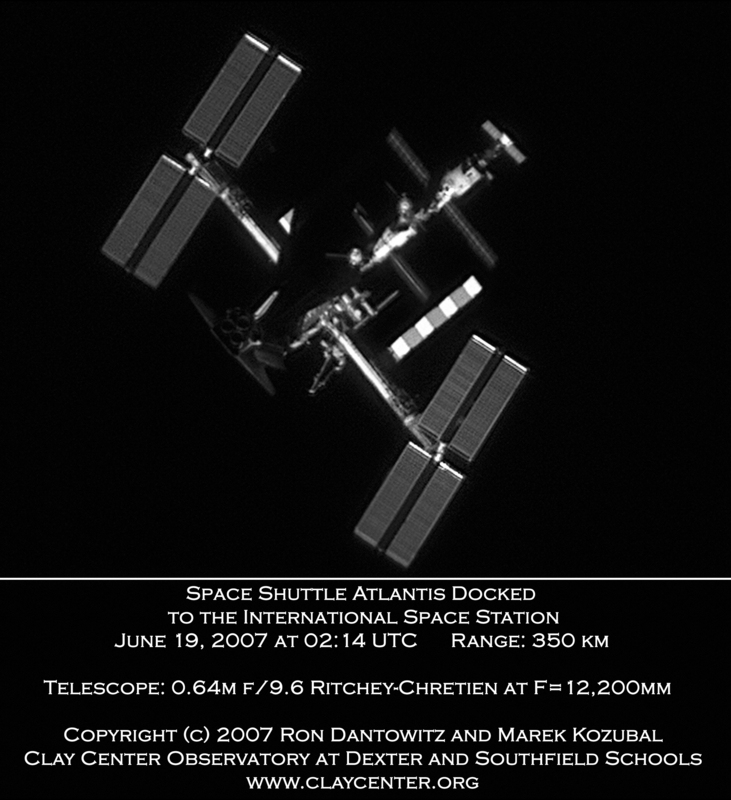 Explanation: This remarkable image of the space shuttle orbiter Atlantis docked with the International Space Station (ISS) was taken at a range of 190 nautical miles. To record the fast moving pair, last week astronomers at Clay Center Observatory, near Boston, Massachusetts, planet Earth, used a satellite tracking system and 25-inch diameter telescope in combination with a digital video camera. In the sharp picture, Atlantis is below and left of center. The aft view shows three main engines just below its vertical tail glinting in the sunlight. 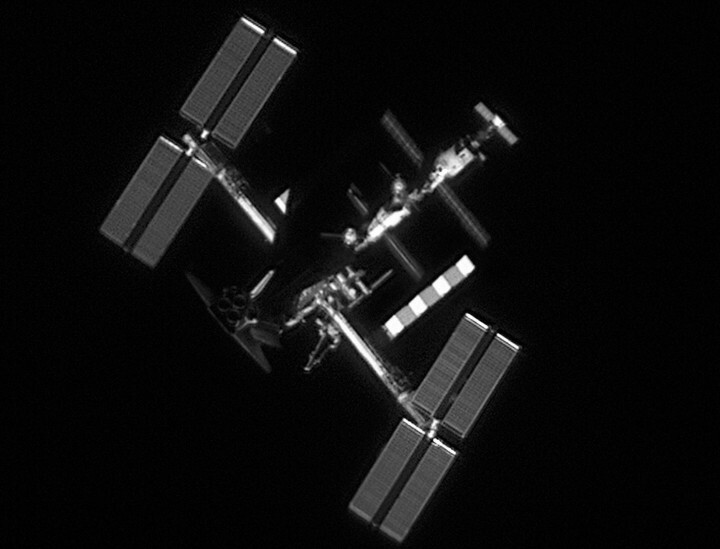 With the Sun shining from below, the body of the orbiter casts a long shadow across the ISS itself and impressive details of the ISS solar arrays used for power generation are easily visible. The large set of solar arrays installed at the lower right was delivered during this visit from Atlantis.